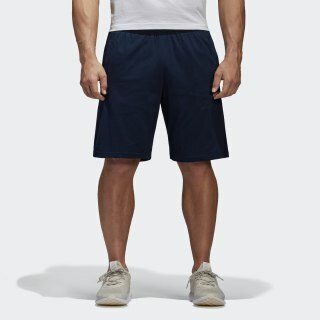 Comfortable shorts to help wick away moisture. Walk away from your workout in the casual style of these men's shorts. Made from soft cotton with moisture-wicking climalite® fabric, the left leg features an adidas logo down the side.